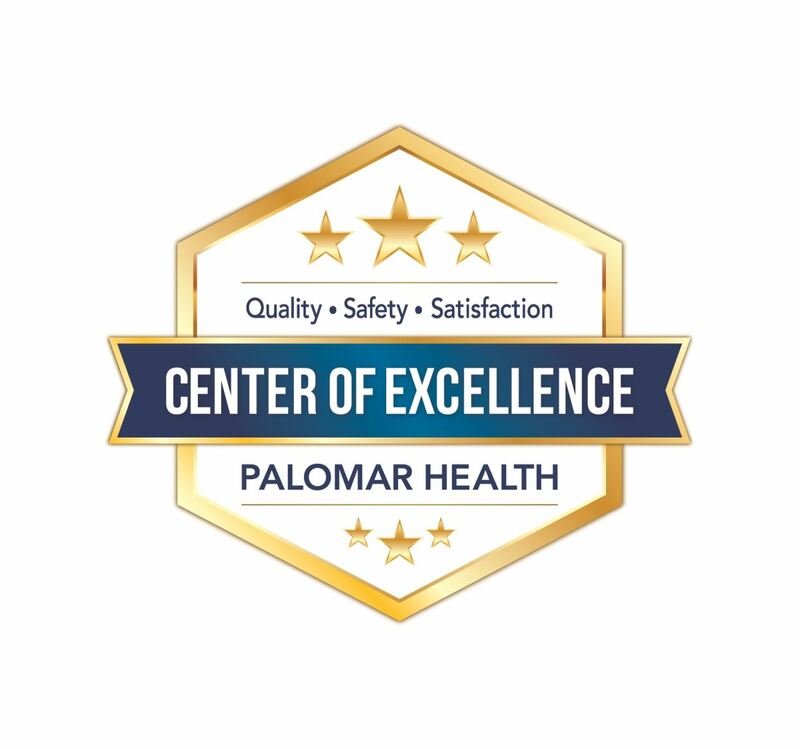 Palomar Health Rehabilitation Services is proud to offer a comprehensive program of diagnostic, preventive and therapeutic services to maximize physical and cognitive functioning and return patients to their physical best following illness, injury or surgery. 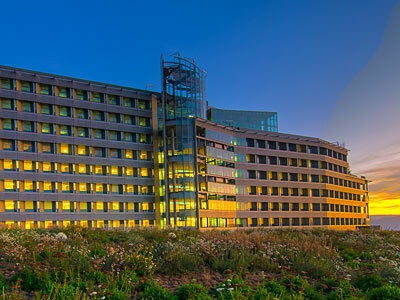 With nationally recognized programs and a record of success that's unequaled in North San Diego County, we are dedicated to providing the most complete and effective rehabilitative services available. We provide rehabilitation services spanning from in the hospital to in your home and to an outpatient clinic to help you reach your goals. Following injury or surgery, you will want to get your life back into play as soon as possible. 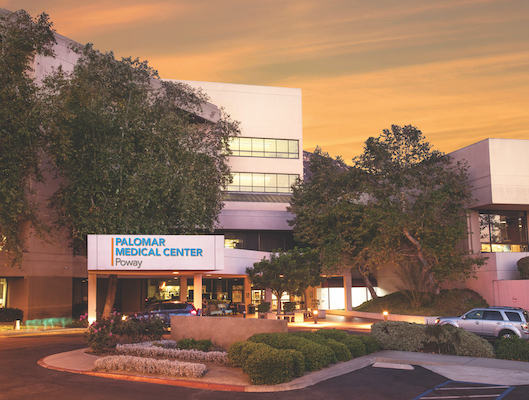 Palomar Health Outpatient Rehabilitation Services puts your healing in motion. As a participant of the Cardiac Rehabilitation Services program, you receive personalized evaluation, monitored physical activity, risk factor education and support. This multi-disciplinary Inpatient Rehabilitation Services team works together to provide comprehensive, coordinated, quality assessment and treatment services to physically impaired individuals. A stay at one of our Villa Pomerado Skilled Nursing facilities - whether it’s a brief or extended period of time - will be a secure and comfortable one and will offer a variety of services to address changing needs. 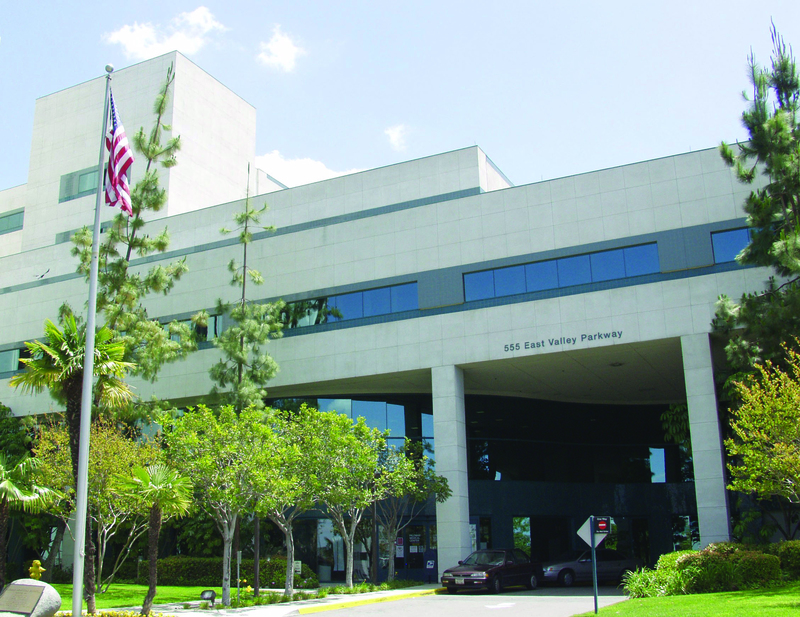 Palomar Health Speech-Language Pathologists (SLPs, also known as speech therapists) treat and compassionately care for patients with a variety of communication and swallowing problems. Our First Steps Home Visiting program offers a continuum of care for a variety of patients with post acute and long-term needs, including rehabilitation, wound care and pain management. Our Rehabilitation Institute team of medical professionals utilizes an interdisciplinary approach to restore the patient to his or her fullest potential. Family members are also an integral part of our team, and are encouraged to participate. With research-based programs and a record of success that's unequaled in San Diego County, Healthy Developmental Services is dedicated to providing high quality care that meets the needs of young children and their families. 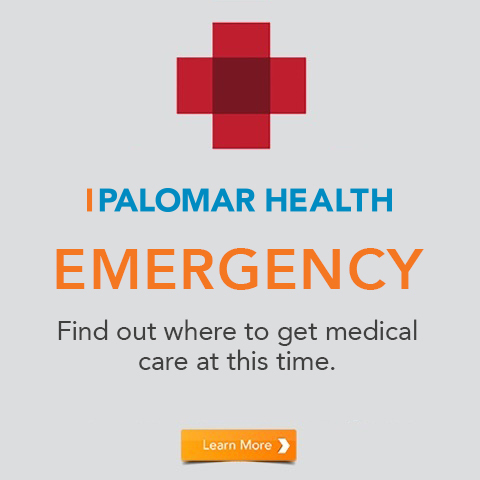 Do you have questions about rehabilitation services at Palomar Health in North San Diego County? Visit Our Services for more information, Contact Us or Find our Location(s). Thanks to your facility helping me, when I arrived I was in horrible shape with lymphedema now my legs are small with getting rid of the fluid (H2O) in my legs. Thanks so very much. We are very happy with our therapists. They are very good at their jobs and seem to care. Makes my husband feel at ease and you can tell they are in right field by their empathy and effort. I can't say enough! All my therapists were so caring and experienced. I had so much pain when I started and now - just a tiny bit - less than a one. Good job! I think the three physical therapists I have worked with have all been absolutely wonderful, and each of them had very helpful ideas for my situation. I am very impressed. Very friendly and courteous, and helped me a lot to me more balance. Comfortable waiting area. I had to reschedule an appointment which was easily done. The reception ladies are always upbeat, professional and cheerful, no matter how busy they are. Excellent balance of professional and friendly, attentive care. Everyone on the staff is knowledgeable and skillful. Good listeners. Education and therapy will help me prepare for spinal surgery. Very grateful! Michelle is excellent fun & very positive - good job. Kathy was the best therapist I had. She was great. I already recommended two patients to you. That is why I have chosen to use your facility three times - two knee and one hip surgery! !